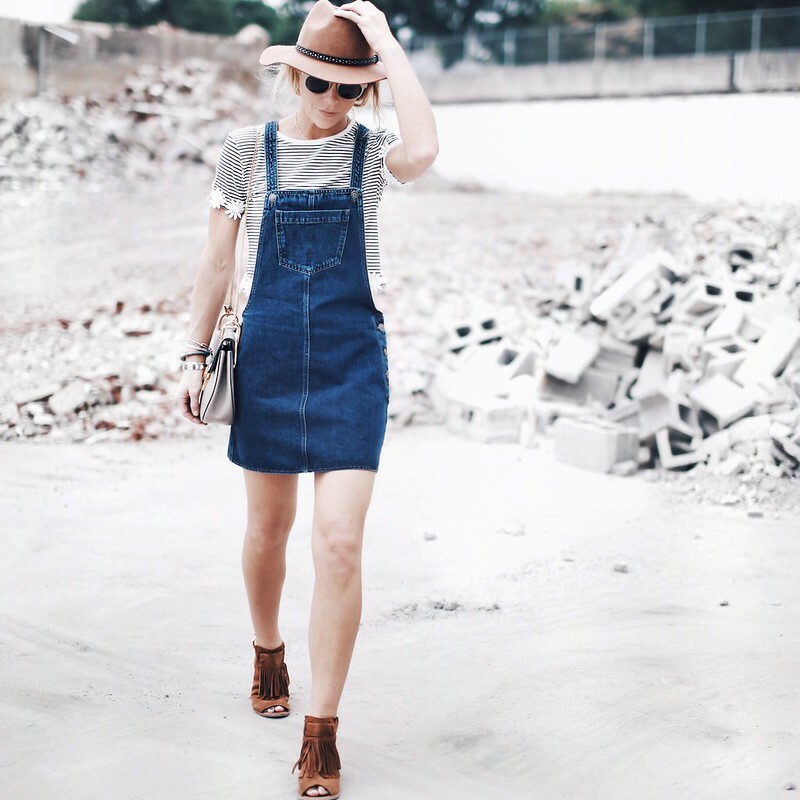 My obsession with the denim pinafore only continues…. Topshop is absolutely killing it in the denim dress department. Honestly had a hard time deciding between a few, but in the end the center pocket won me over. Looking forward to wearing this guy in the fall as well. Turtleneck, leggings, and boots are already starting to sound nice given these last few days in the 90s! *This post is brought to you by Topshop. All thoughts and opinions remain my own. love this look! Your layering is flawless and I love how you made a denim dress look chic and edgy! I love how classic and casual this outfit is! I used to have this exact top as a kid… it was a favorite then and looks like a favorite now, although I much prefer your slightly cropped version. Love the details of your shirt. I really love everything about this outfit. From the denim dress, striped crop, fringe block heels, it really all goes together perfectly! Your ability to switch up classic items like a denim jumper and make unexpected pairings is truly inspiring! I have to get those shoes! 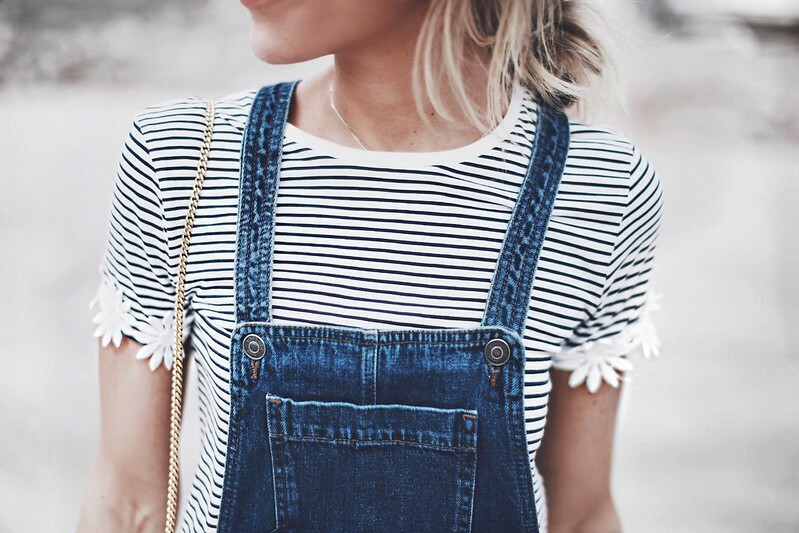 Love the denim pinafore with the stripped tee and the shoes are gorgeous! Such a cute, boho outfit! I like your shoes and top very much! Another stunning outfit, the pinafore dress with the top is the most perfect combo ever! Such a cute outfit! I LOVE it. what a chic look! perfect for a festival! OMG! The top is amazing!!! Love the look! This is so cute! Love the jeans dress and adorable top! 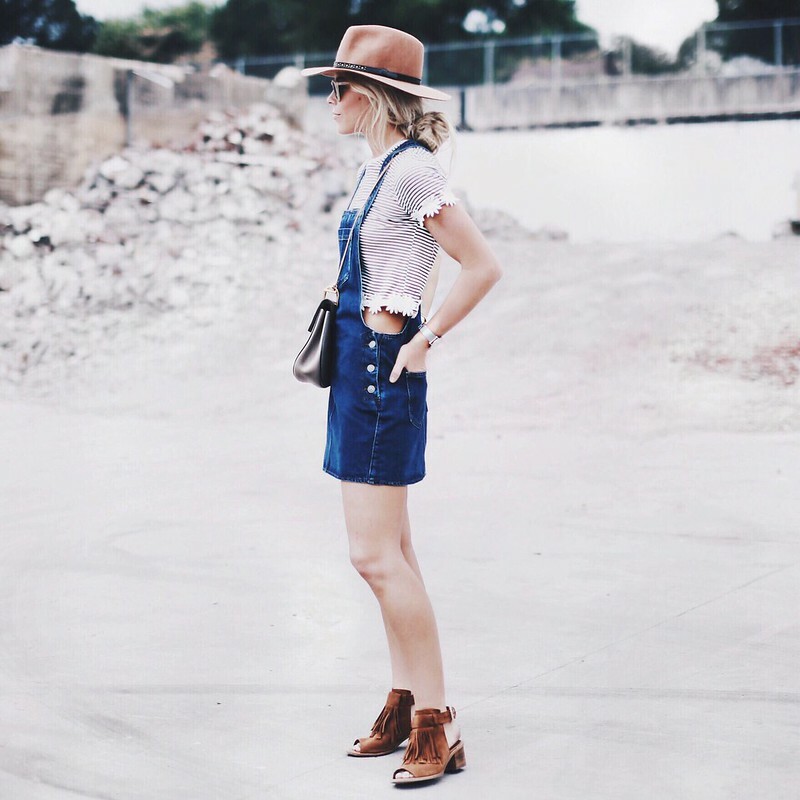 You’re definitely one of the few that could make a denim dress look that good, love those booties with it! This is the cutest outfit! Wonderfully styled with the hat! I am obsessed; this is such an adorable look, and the shirt you’re wearing inside is just too cute! I love it! This is such a nice outfit <3 I really love your pictures, they look beautiful! Simple, fresh and young look! Love it! This is such a cute look! I just love the shoes you’re wearing the fringe is super cool! This is an adorable outfit, you wore this so well! 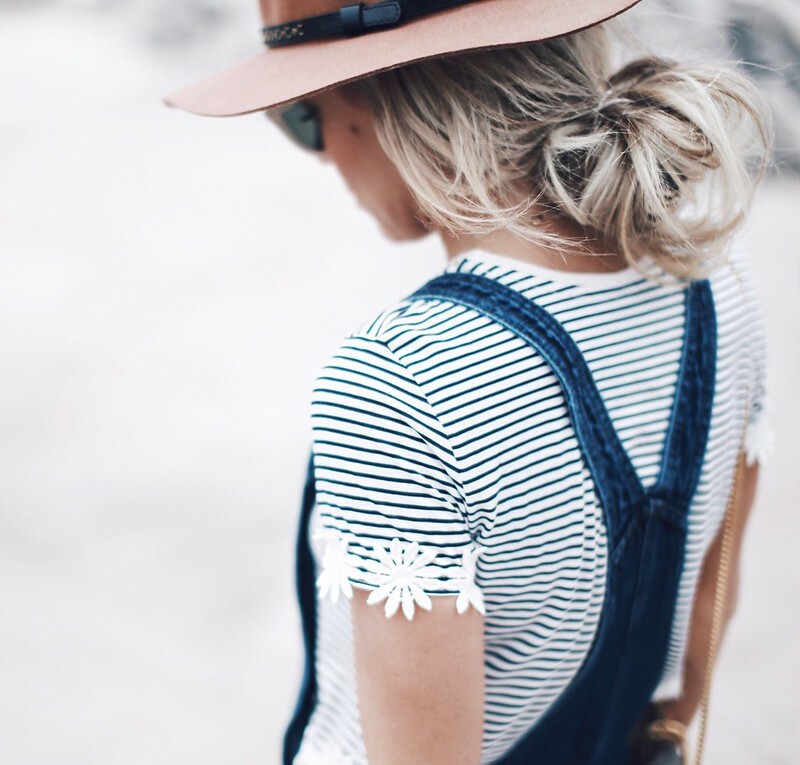 What a cute little denim dress to layer over a t-shirt! I love this look for Summer! That’s a super cute pinafore. I love it!